Thought I’d just give you a little taster of life over here. It feels like I’ve been here for months, mainly because when you’re working 18-hour days, so much happens between 6am and 10pm that it feels like 2 or 3 days have gone by! When I first arrived in Tacloban on a Wednesday morning, I went to a meeting with the Department of Agriculture in the morning, and then the next three days were so busy and hectic, that by the time I met with someone on Friday, I was convinced the DA meeting had been a week ago! It’s also incredibly damp here – very humid and sticky, still raining a lot, so lots of mosquitos and pretty bad smells. 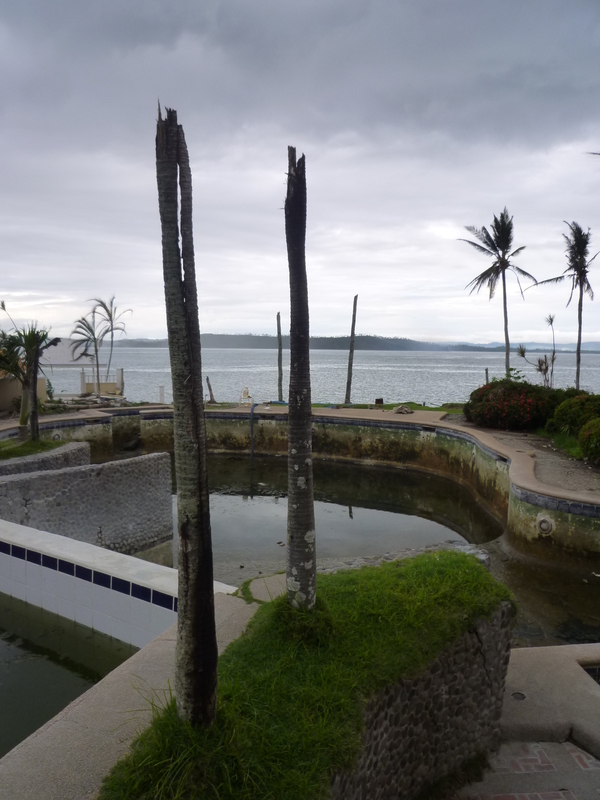 The hotel we’re staying in, which also houses our office, was not too badly damaged by the typhoon, although the swimming pool was filled with manky green sludgy floodwater that appears to be breeding mosquitos and frogs at a frightening pace. It’s been mostly drained and cleaned out, but still has a sludgy greenish puddle at the bottom. 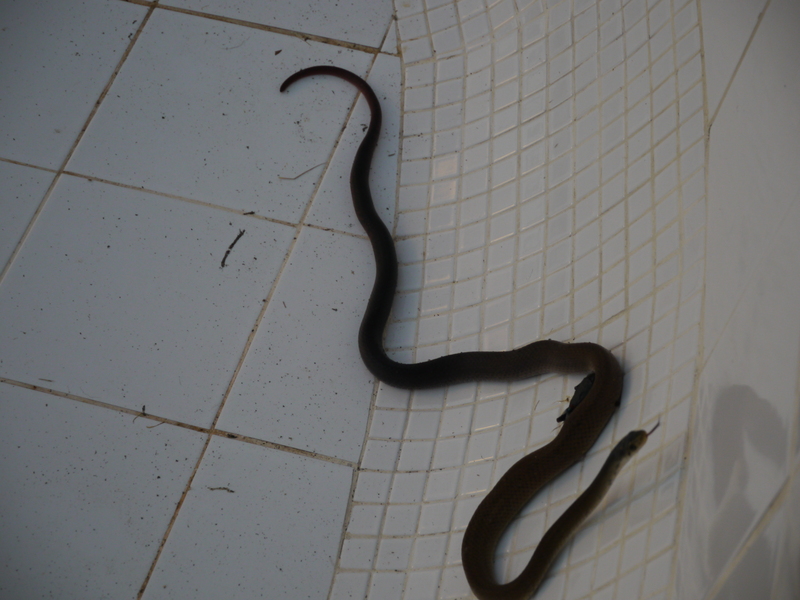 Then yesterday we discovered a snake in the pool, which was both exciting and terrifying. Apparently it was poisonous, and it had a lumpy belly, as it had clearly been feasting on all the rotting frog carcasses in there. Someone killed it, but it was all rather nerve-wracking. The humidity has also caused my hair to get somewhat ridiculous. 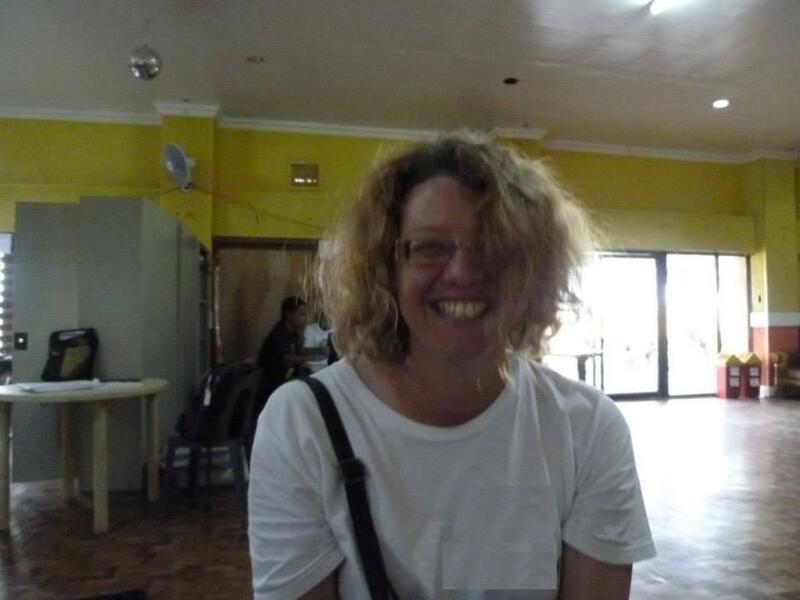 All this dampness means that my hair has slowly gotten bigger and bigger, and fluffier and fuzzier, leading my colleagues to start making comments. It’s impossible to control, I’ve tried everything, but can’t seem to stop it from springing up into a bushy, crazy mess. 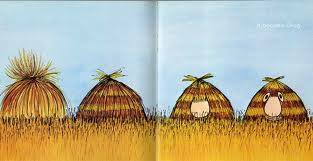 Apparently I look like Grug. It’s the curse of humidity. But at least my hair can provide my colleagues with a bit of comic relief in what would otherwise be some pretty trying times! Our office didn’t have much furniture when I arrived (we’re based in a big ballroom/function room next to the pool) so most of our meetings are held on the floor, and I’ve spent most of my time here developing a pretty awful t-shirt tan, getting hot and sweaty standing around next to trucks (I’ll write another post about the work I’ve been doing here). That’s the flavour of Tacloban – more to come soon!